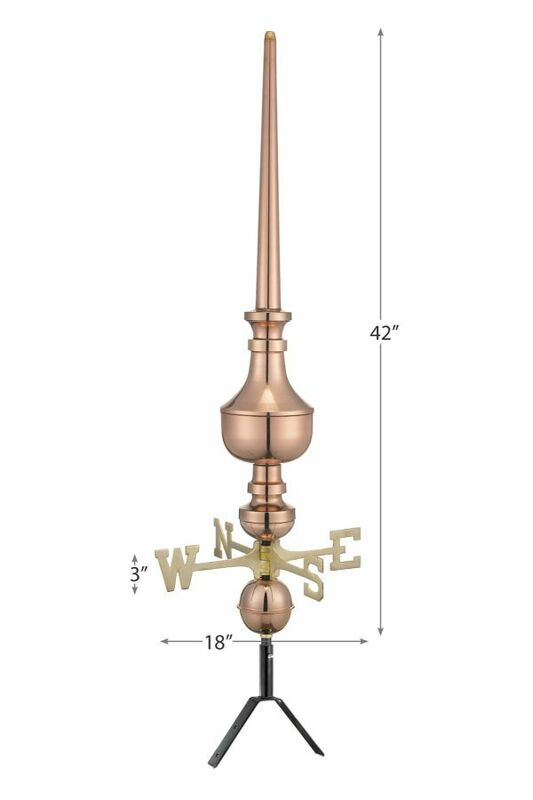 Only the finest 22-gauge pure copper and highest quality brass go into every finial we offer. Designed by American artisans, each piece is handcrafted to ensure even the smallest detail meets our standards of quality. - ENHANCE – the value, curb appeal and appearance of your home by adding a pure copper finial to your roof. - HANDCRAFTED – 22 gauge pure copper construction that will stand the test of time. The copper will age naturally to a beautiful patina finish. - EASY TO INSTALL – Easy-to-assemble and install. 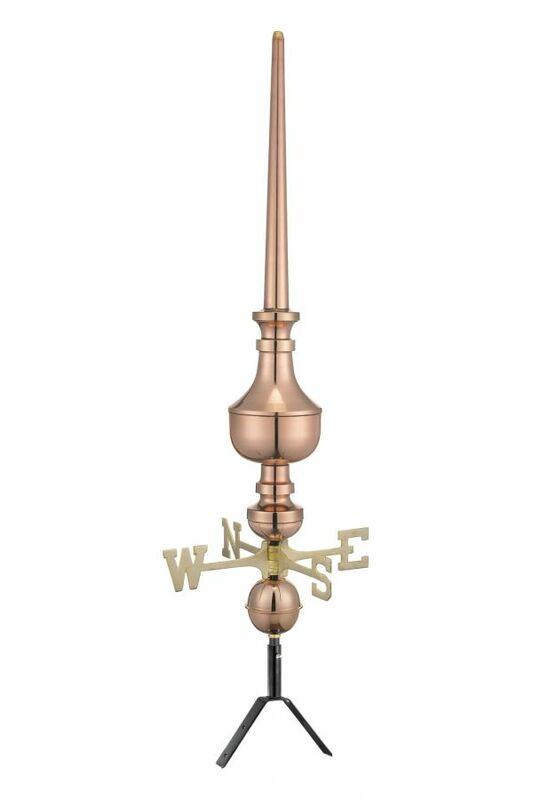 Includes finial, steel roof mount, assembly rod, solid brass 18"L directionals and copper globe. - DIMENSIONS – Finial: 44”H x 18”W - LIFETIME WARRANTY – Enjoy your finial, worry free, for years to come knowing that it is fully protected by our 35 years of experience and Industry Exclusive Lifetime Warranty.